More and more shoppers are completing their purchases from online vendors, and we can easily see why. The bargains are amazing, the merchandise is mind-boggling, the entire process is smooth, but most of all, you don’t have to move a muscle. All that’s left after completing the transaction is to wait. Online shopping is undeniably one of the easiest, and also one of the safest ways to obtain your favourite products. Studies show that consumers are finding it harder to leave the comfort of their home, not only for shopping, but also when it comes to delivering packages. And why should they? There are countless of express delivery and shipment services that use advanced package tracking systems to ensure that the cargo reaches destination safe and sound. In order to give customers more peace of mind, large delivery companies such as FedEx, DHL, UPS, USPS etc., have created comprehensive package tracking systems that show the exact route and location of the package at any given time. The term package tracking, or package logging, represents the process of identifying the location of mails, parcel post, or shipping containers during the entire shipment process. It is important, not only for the customer, but also for the companies, because packages are usually delivered by multiple carriers, and in case an accident occurs it is easier for them to find out who was responsible. To better understand how the ‘track a package’ concept came into being, we have to take a step back. In the early days of mail services, identification could be done with the help of information written on the front and back of the envelope (sender, date, address etc.). This method worked for several years, until tracking numbers were introduced. In the distribution & logistics of packages you will find the term ‘traceability’, which refers to the ability of proving the application, location or history of an item. Nowadays, 1D linear and 2D matrix barcodes, or augmented postal codes are used to demonstrate the identity and purpose of a mail or package. Items delivered through regular mail can be tracked only if they are delivered through registered mail or certified mail. Large and small delivery services alike use two methods for tracking packages. The first, and most widespread one, consists in recording the departure and arrival of a parcel at various locations. This means that when you track a package, the updates will include the location, parcel status and time. Of course, as technology has evolved, so has the information regarding packages. Nowadays it is possible to also find out about factors like humidity, climate, temperature, exposure to light etc. which may affect the condition of fragile and delicate parcels. 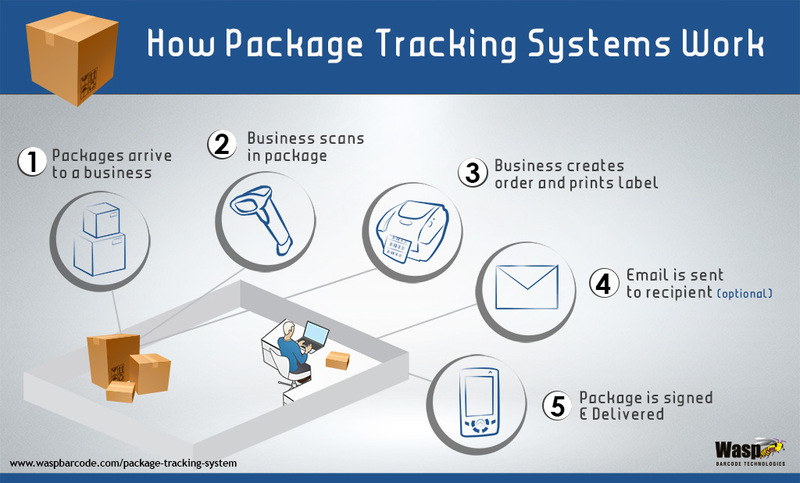 This package tracking method is used by companies such as FedEx, United Parcel Service (UPS), and AirRoad. The second method is more exact because it uses a GPS-tool to locate where exactly the vehicle containing the package is. How does this Information reach you? Web-based reporting is undeniably the most efficient way of updating and reporting about the status of a package. Sure, there are also some call-centers or automated customer service messages for this purpose, but the Internet is, by far, the fastest & cheapest way to send information to the customer. As a matter of fact, it is so successful that the number of packages tracked every year by UPS grew by approximately 3.2 million in only 4 years. Since smart-phones have become extremely popular, delivery companies have also created small apps that facilitate package tracking. Package Tracking with Tracking Numbers: in most cases you will receive a tracking number with your receipt. This number is automatically assigned once the order is placed. You can use it on the company’s application to check the status of your parcel, change delivery options or verify the estimated time of arrival. Tracking by Email or SMS: You can send your tracking number via email and receive automatic responses every time the status of your package changes. Most delivery services offer package tracking services for multiple packages. You can also opt for text messages. Signature Packet Tracking: available with UPS. It is a better, more secure method for tracking packages. You can track cargo this way by using your signature image, address and personal details. Android and iOS apps: some retailers offer iOS and Android software apps that automatically track the status of your package. They can be used for both internal (domestic) and worldwide tracking. As soon as the order is placed, the delivery company will issue a receipt. You can print a copy of it to have the package tracking number at arm’s length. Most companies also send an email confirmation that contains the tracking number. Use this number to check the status of your shipment in real-time. You can track your package from the company’s official site. How can I find the tracking number of my order? Tracking numbers are used by companies such as USPS, UPS, Fed Ex and DHL. They are usually included in the email confirmation or receipt. Every company has different policies regarding package tracking. For example, USPS offers this service for priority mail and standard post, while UPS allows you customers to track packages with the “Track Packages & Freight” feature from the official page. As we already mentioned, every company sets its own rules and tracking methods. In general, large delivery companies and retailers offer more than one options. If you forget your tracking number you should visit the official website to find out more about alternative methods for tracking packages. How to Track a Package by Address? UPS, USPS, Amazon, FedEx, DHL, and several other delivery companies allow customers to track parcels by reference or address. In other words, you provide a few details such as address, order date etc. and the service will automatically find what you’re looking for. Can I update the delivery address during shipment? In most cases this is possible. Prior to delivery, a customer care representative is supposed to get in contact to you to provide an estimated time of arrival. It is possible to change the address then. You can also get in contact with your delivery company before that to change the address. What does Proof of Delivery (POD) mean? POD represents a method of establishing whether or not the recipient received a parcel. It usually includes information such as full address, time of delivery and the customer’s signature. If you’re the one sending the package, you will want to see the POD to ensure that it made it in one piece. Many companies issue the POD automatically once the shipment arrives. We will quickly review some very popular, and some not-so-popular, delivery companies & services that also offer comprehensive package tracking features. If you want to learn more about international package tracking or China package tracking, please check out our specific articles. What can I do if my package is lost? Customers have certain rights when it comes to shipments and deliveries. Under the International Trade Laws, customers are entitled to request refunds from carriers who fail to meet their deadlines or deliver packages. This rule applies for ground, sea and air deliveries. It is recommended to phone call the carrier before taking any legal action. UPS’s motto is “Shop. Ship. Track. Shop, again.” It is one of the largest delivery companies in the United States that offers countless shipment and package tracking options. The company uses a user-friendly API which tracks packages directly from an ecommerce store. This means that online shops can use it to attract return visitors, and retailers can show more information about the status of a shipment. In addition to this, UPS offers interesting package tracking features for individuals, such as: tracking with tracking number, SMS, email, InfoNotice, SmartPost Reference or signature. The company has set new standards in the industry and is constantly working to improve the quality of services offered. Although the prices are slightly steeper compared to competition (especially USPS), you have the guaranteed that your cargo reaches its destination unharmed. Another excellent delivery service worth testing is FedEx. Like UPS, FedEx also offers a plethora of package tracking methods including tracking by reference number, email, API, or FedEx insight. An added bonus would be the Proof of Delivery, which is basically a delivery confirmation for the sender that includes the recipient’s digital signature, to validate the safe arrival of a package. FedEx also has detailed tracking systems for extra-care and expedited handling as well as Quick Find features for Ocean and Air Freight forwarding. The company’s motto, “If you can text, you can track” perfectly summarizes the simplicity of the tracking process. Walmart, the largest retailer in the United States, also offers package tracking services for its orders. Depending on location, the retailer uses USPS or FedEx shipment & logging methods. Estimated dates of arrival provided by Walmart are set in accordance to the carrier’s possibilities. Although there are several products that are shipped for free, most products also include additional shipment costs. On the bright side, package tracking services are offered for free. Want to track your Amazon shipments? You will be happy to know that the company can help you with this in two ways: by helping you track the cargo from the Orders page, or by sending you SMS text messages every time its status changes. Amazon has reliable carrier contacts such as CEVA Logistics, DHL, MSI, Landmark Global, UPS, USPS, FedEx, and Pilot, among others. According to eBay, customers who have the possibility of tracking their products are usually more satisfied and inclined to leave detailed seller ratings (DSRs). On eBay, you can check the status of your parcel every step of the way through detailed reports. The company has partnered with UPS, FedEx and USPS, the shipment companies that always deliver. eBay orders can be checked directly from your user account, at “My eBay” -> “Purchase History”. Undeniably the cheapest shipment service available, USPS offers a wide range of tracking options for certified, registered and priority mail. Because it’s part of the government, the United States Postal Service has easy access to remote locations, where companies like FedEx or UPS will go only for outrageous sums. You can track packages with USPS through text alerts, online applications, USPS tracking or reporting tools. 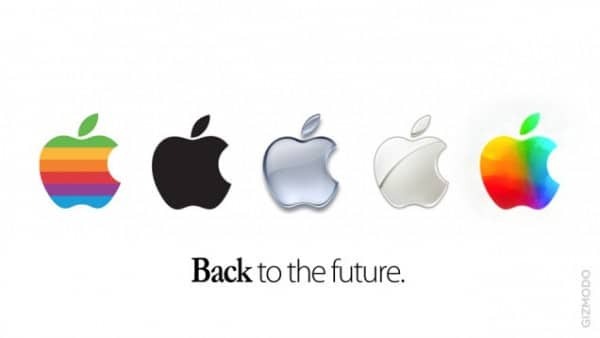 Did you know that Apple offers free shipment for all products? Free shipments generally arrive in two-business days, depending on location. Apple products are usually delivered with FedEx and UPS carriers, for the United States, and regional carriers, such as TNT, for Singapore. There are plenty of cool apps that you can use to track your package, and the company also offers a text notifications feature for 24/7 monitoring of your shipment. Greyhound express delivery is a lesser known carrier that promises to take your package from point A to point B at the fraction of a cost that you would normally get from other carriers. It offers X types of shipment services: standard, priority, quicklane and in-city. Greyhound packages can be tracked with the help of the reference number from the receipt, or via email notifications. Google packages are tracked with the help of Google Maps. As a matter of fact, major carriers such as FedEx or UPS track their products with the help of Google Maps. The tracking process is quite simple. 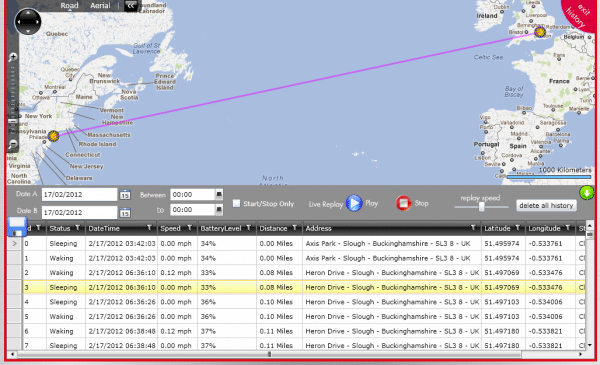 Find out how you can track your Google orders, or what carriers are using the Maps Google package tracking system. If you are tracking a package from China you definitely want to use the EMS carrier. China packages can be problematic, so you should go for the most reliable company. EMS, China’s Postal Service, offers tracking features for its customers. Packages can be checked with the unique 13-digit reference number, and they will be delivered at your front door. Our last mention Is LBC, also known as Luzon Brokerage Corporation, an air cargo forwarding service based in the Philippines. The company has approximately 1000 branches in the Philippines and roughly 60 in the U.S. and Canada. LBC delivers shipments world-wide and also offers satisfactory tracking services for its customers. TNT, Europe’s most powerful carrier company, offers a plethora of tracking options for domestic and international shipments. Find out more about its services and offers. Hey Buddy!, I found this information for you: "Package Tracking Guide: Best Carriers, Services & FAQs". Here is the website link: https://all2door.com/package-tracking/. Thank you.